Review: Norwegian producer Wasserfall makes his way to Chicago/Los Angeles based Hesperian Sound after several releases for Greta Cottage Workshop, offering a highly organic affair. The EP opens with "Stiv Heks" which evokes a lush natural landscape, both dreamlike and quirky. The remix from young Chicago newcomer, Daniel Chavez, strips down the original for a simplified yet feverish dancefloor edit. 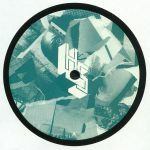 The B Side returns to Wasserfall's signature laid-back jazzy deep house sound with "Twilight" and "Gravlaks", which flex the producer's knack for working in samples into his grooves. A consistent warm psychedelia flavors these four functional tracks with looseness and reverie.